Slow Cooker Vegan Lentil Sloppy Joes start with a filling that cooks in the slow cooker without heating up the house! Click here to see all the Slow Cooker or Pressure Cooker Vegan Recipes! Here’s a delicious-sounding Meatless Monday idea for our Summer Dinners category, and these Slow Cooker Vegan Lentil Sloppy Joes from A Veggie Venture use mostly pantry ingredients that you probably always have on hand. You can make them spicy or not, depending on your preference, and since my love of lentils is well-documented, you know I’ll be making this one! 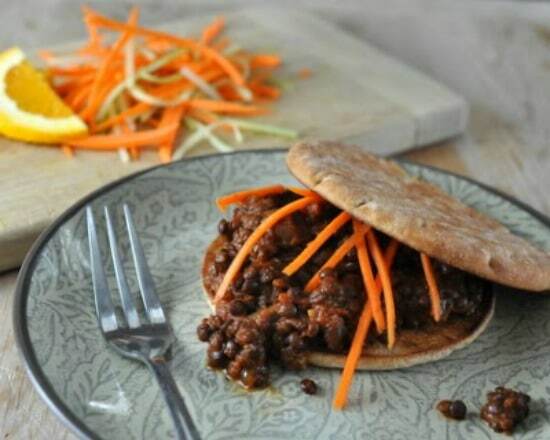 Get the complete recipe for Slow Cooker Vegan Sloppy Joes from A Veggie Venture. Use the Index Page for Summer Dinners to see all the slow cooker or pressure cooker summer dinner ideas that have been featured on this site. Vegan sloppy joes — what a fun idea!